A Christmas note from our Founder, Brandon Lindsey. I was that kid (and probably still am at heart) that loved Christmas only because I was in a good position to get tons of stuff that I didn’t deserve yet wanted badly. The enjoyment and excitement that I experienced from receiving gifts was rivaled only by my devious obsession with finding out what those gifts were before Christmas morning. My mom loves Christmas! Unlike her mischievous red headed son, Mom’s love for the season came from being able to give her kids everything that we wanted for Christmas. Seeing our faces light up as we tore away the paper disguising our every wish gave her the greatest pleasure. So you can imagine how well it went over when I started pointing to the wrapped presents under the tree and naming them off one by one. “That’s a skateboard. That one is a soccer ball. Kyle, you can have that one over there ….it’s a sweater.” It became painfully clear that I had found my way into the attic and stumbled upon Santa’s secret stash. Mom’s holiday joy turned very quickly into a fiery fit of Christmas fury. The straw that broke the camel’s back was the Christmas that Mom had wrapped that year’s “BIG present” in the most beautiful and elegant white wrapping paper. As beautiful as it was, she definitely overlooked one fatal flaw. If you held the box up to the light, at just the right angle you could read the outside of the box as clear as day…”GAMEBOY!” Funny to me, not so funny to her! Looking back on it today, I do regret robbing her of that joy. If you were to ask her, I know that she would say that we were just being boys and no matter how much we drove her crazy, she wouldn’t trade one minute of it. Now it’s 2013, and Christmas has certainly taken on a different meaning to me. I’m sure that most normal people mature at a much faster rate, but after 37 years I’ve finally accepted the fact that Christmas may not be about ME. The other astonishing revelation is that I’m okay with that! I have finally learned to truly appreciate that overwhelming joy that comes from the act of giving. There’s no greater joy than watching a child on Christmas morning! I love being able to give them the things that they have wished so hard for, even though Santa’s still getting all of the credit! This Christmas is one of the most exciting that I’ve ever experienced. 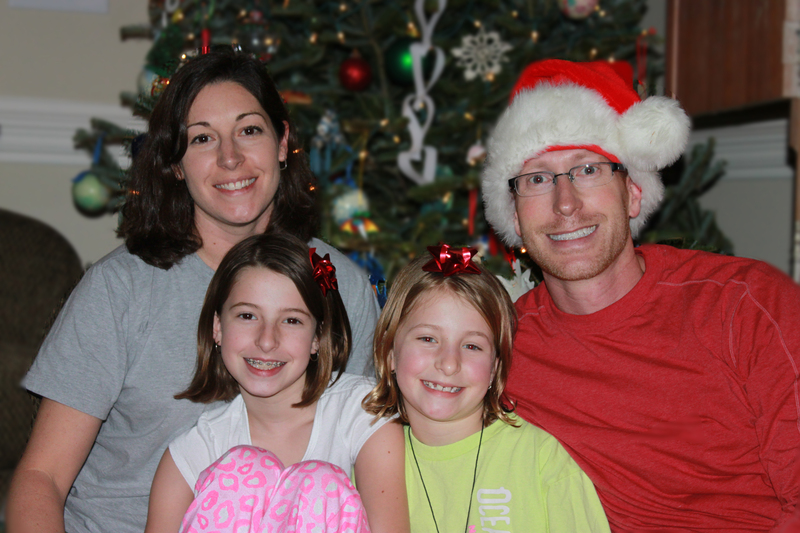 This year, I’m excited to say that our family has grown exponentially! Our family is no longer defined by the bodies gathered around our dinner table. Because of Dream On 3, our family now includes the Batleys, the McNeals, the Corrells, the Thompsons, and the Bowers. Our family now includes a wonderful Board of Directors, a small army of passionate volunteers, our healthcare partners, our sports community partners, and most importantly YOU…our faithful supporters! 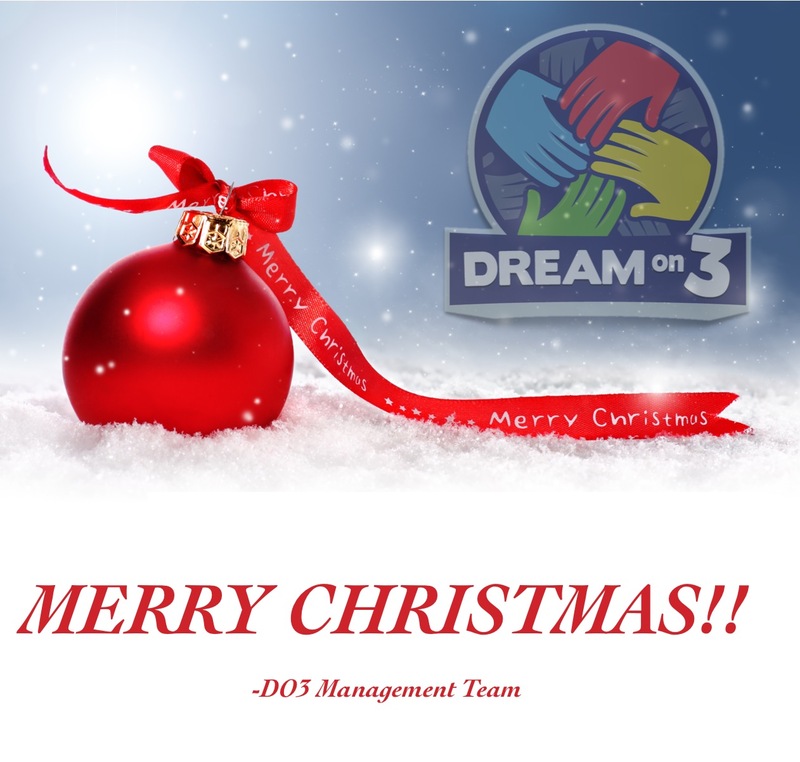 Dream On 3 has provided us a vehicle in which we are able to give a special gift to some very deserving kids. The best gift that we can give these kids and these families is more than just a day of surprises and celebrity interactions. Our greatest desire is to gift our Dream Kids with something less tangible yet more sustaining…..HOPE. We want to show our Dream Kids that no matter the challenges and obstacles that they have to overcome, they are never beyond being able to live out their dreams. Hope is a very powerful force. Although very similar, hope is not the same as optimism. Optimism is seeing the glass as half-full. Hope is being able to always see the beauty and expect the good in situations where the glass may actually be empty, or even broken. Hope gives us the strength to live for today like we already know what’s in store for us tomorrow. It is the force that pushes a solider to endure a living hell in a foreign land so that he may be able to hold his wife and children in his arms again. It’s the thing that helps that single mom move back into the dating scene and allow herself to be loved again. It’s the one thing that a parent holds on to when the doctor tells them that “it doesn’t look good.” Hope is powerful. Hope can be healing. Hope can allow you to do things that you never thought you could do. Hope is the real gift that we at Dream On 3 want to be able to give to our Dream Kids. Hope sounds like a pretty awesome thing doesn’t it? Here’s the best part…this Christmas we all get to experience that hope! The greatest gift of all time was given to all of us about 2013 years ago. We were given the gift of hope through the life and death of Jesus Christ. We get to live today because we know what’s in store for us tomorrow. That hope tells us that one day we will all overcome our challenges, our broken bodies, and our emotional pain. Let us all take this time to rest in that Hope and to reflect on that Gift. Merry Christmas Dream Team! Please help us make more Dreams come true for very deserving kids! Click here to help.